The Palatinus Baths on Margaret Island is now open all year round. Let us tell you why it is our favourite this winter! Some say that Hungarians come from a different planet – I think we come from the water! 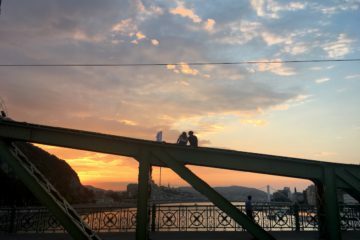 Although we are landlocked in Hungary, we have plenty of thermal springs, lakes, and rivers, and many people spend half their lives in the water. That’s why we have so great swimmers and waterpolo players; not to mention the wonderful results in canoe and kayak! Thermal water in the Budapest area has been used at least since the ancient Roman times. The first modern open-air bath of Budapest, the Palatinus, opened on Margaret Island in 1921. At the time Palatinus had the largest pool in all of Europe. They added the super fun wave pool and the main building in 1937 designed by Janáky István, hence the wonderful Bauhaus architecture of the main entrance. The wave pool got its Surrealist mosaic in 1966 from Bálint Endre painter, also a really interesting detail. The thermal water comes from underneath the island, and it’s great for joint problems, osteoporosis, and all kinds of injuries. For a long time Palatinus was only operating in summer, but it was the favourite place for kids on vacation thanks to the huge slides. Some years ago it even made the list of The Guardian for most beautiful pools in the world! Luckily since 2017 we can enjoy some sections in winter as well. 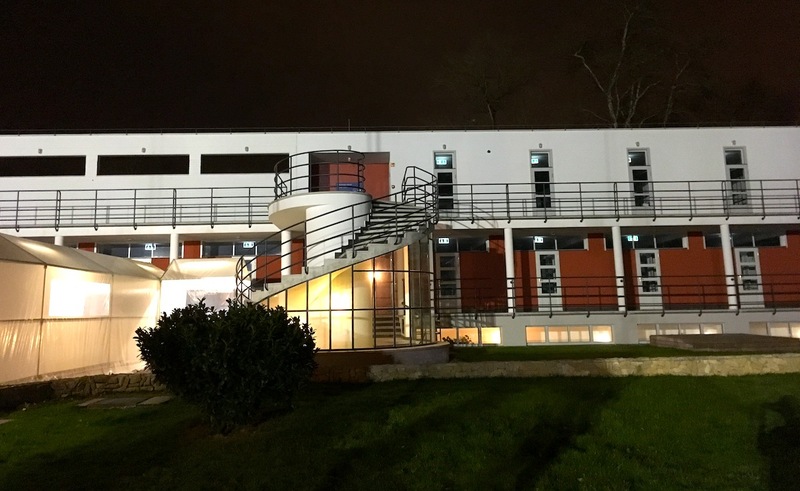 The main building went through a much needed renovation in 2017. They did a great job recreating the clean-cut Bauhaus style, and they got rid of all the redundant additions of the past 80 years. 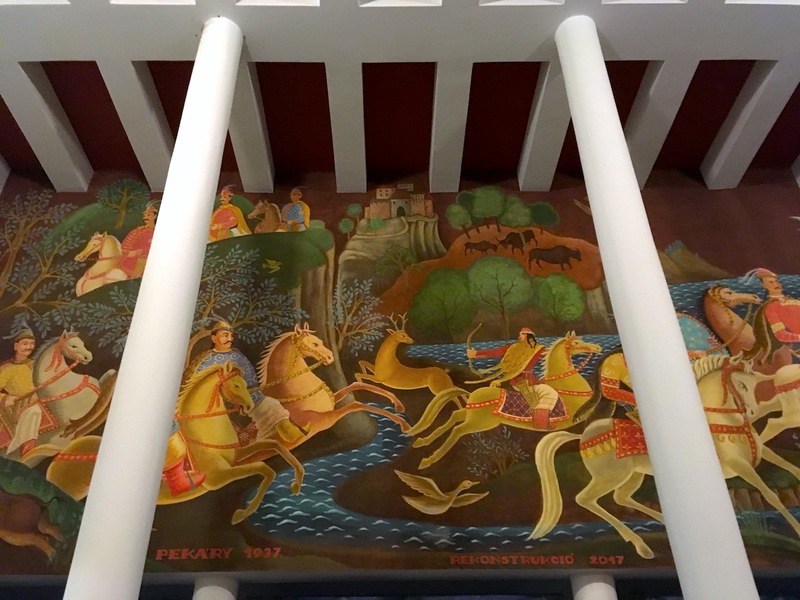 Just recently the main building’s huge fresco was also repainted – it was gone for many decades, and our generation could only see it on photos. 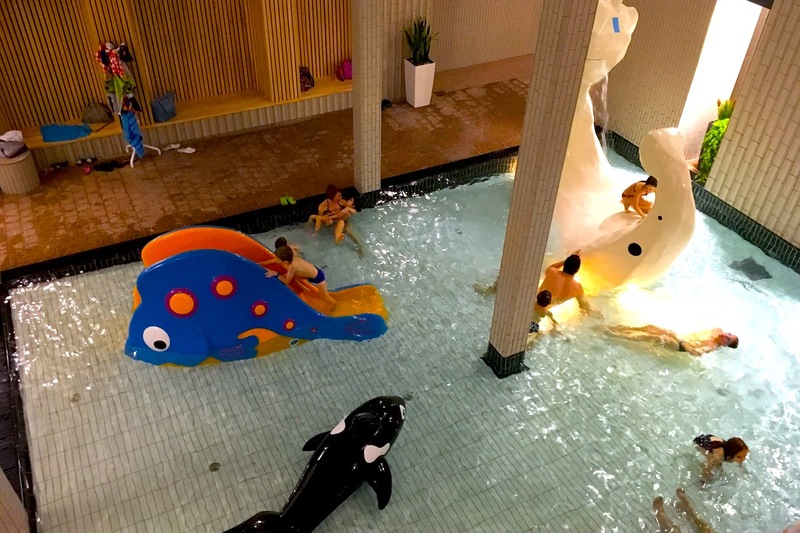 New indoor areas were created with the reconstruction: a cute pool for kids, one with thermal water for the adults, and some new saunas with an ice cold immersion pool. Boost up that circulation! 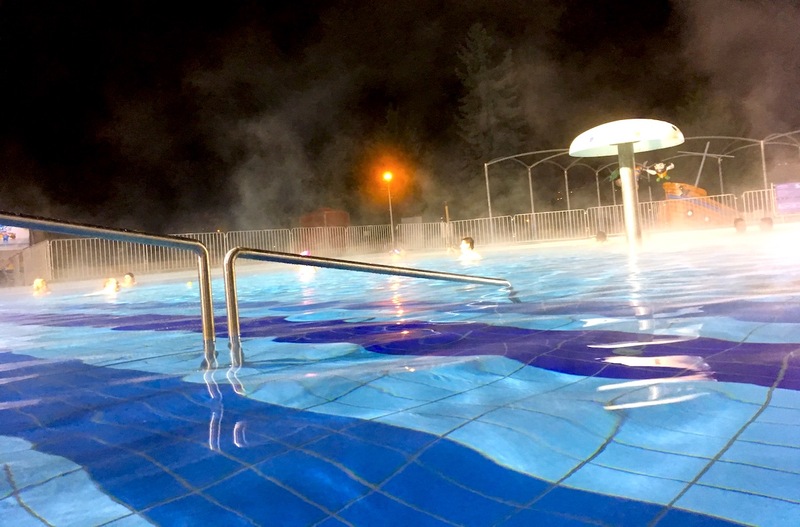 A big outdoor thermal pool is also working all year round. Oh boy we love to sit outside when it’s snowing! 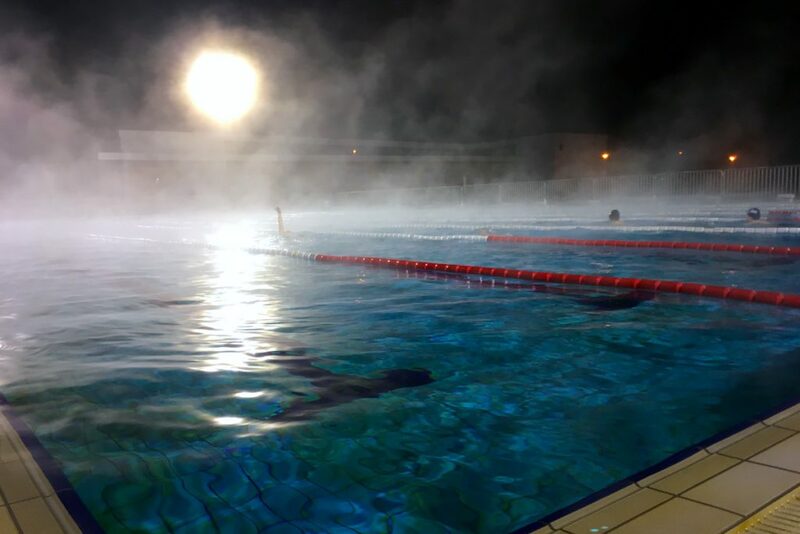 Next to it you can exercise in the colder 40-m swimming pool. Caps are mandatory in this one, but not in the thermal sections. You can also book different massages, prices start at 3000 forints (10 euros). In summer all the outdoor pools are working, there are large green areas for sunbathing, and lots of facilities to buy drinks and snacks. The wave pool is great fun, you can hear a bell ring in every hour when the waves start. Close to it you’ll find a pool with five tall slides, they are free to use, but sometimes you have to wait in line. 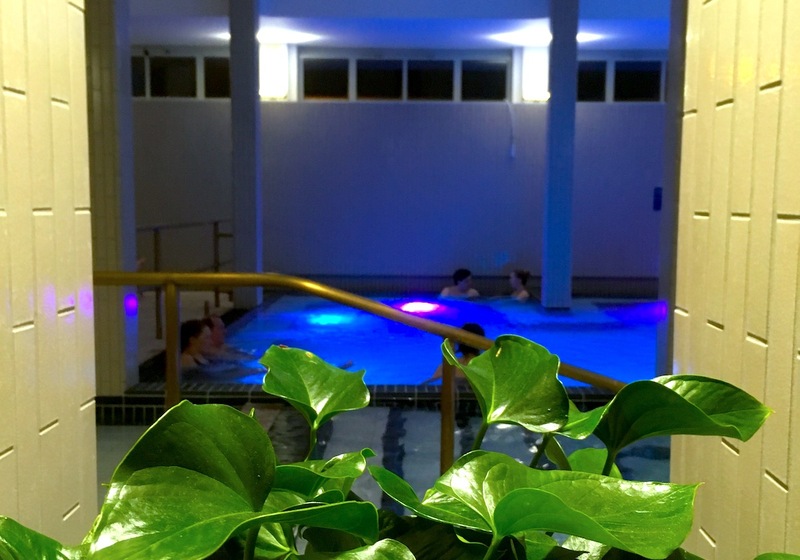 Why we recommend the Palatinus Baths? While in summer this is definitely one of the liveliest places in the city full of kids screaming and splashing water, in winter it is absolutely quiet. Because of the recent renovation it is still not in the guide books, so there are fewer tourists than in any other thermal baths. 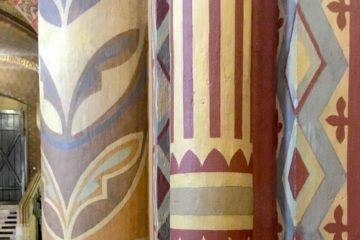 And if you like the architecture of the ’30s as much as we do, it is a must to visit! Furthermore, it is probably the best place to go with kids in winter and in summer as well, because very few thermal baths have a pool for children. To get there: The Palatinus Baths is in the middle of the Margaret Island, a beautiful park with a lot of things to do. You can get there with bus 26, take it at Nyugati Railway station. Bring: Swimsuit, flip-flops, towel + swim cap if you want’t to use the swimming pool. You can rent or buy most of these things there, but it’s always best to bring your own. The outdoor swimming pool is open all year round, but bring a swim cap! 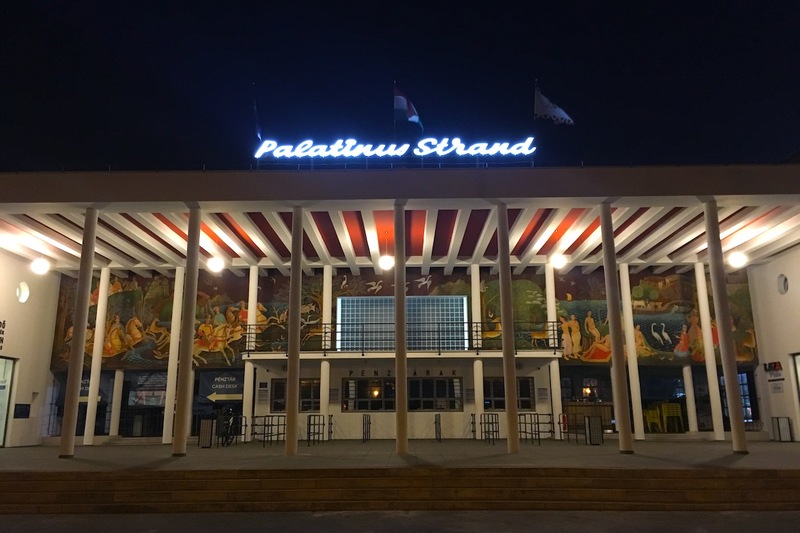 Ticket: Adult tickets range between 2400-2800 forints (8-9 euros, weekends are more expensive), children under 14 and seniors pay a bit less. Paying inside: If you want to buy anything inside, like a snack or a drink, you have to use a prepayed card that you can upload with any amount at the ticket office, or use your contactless bank card – cash is not accepted anymore. 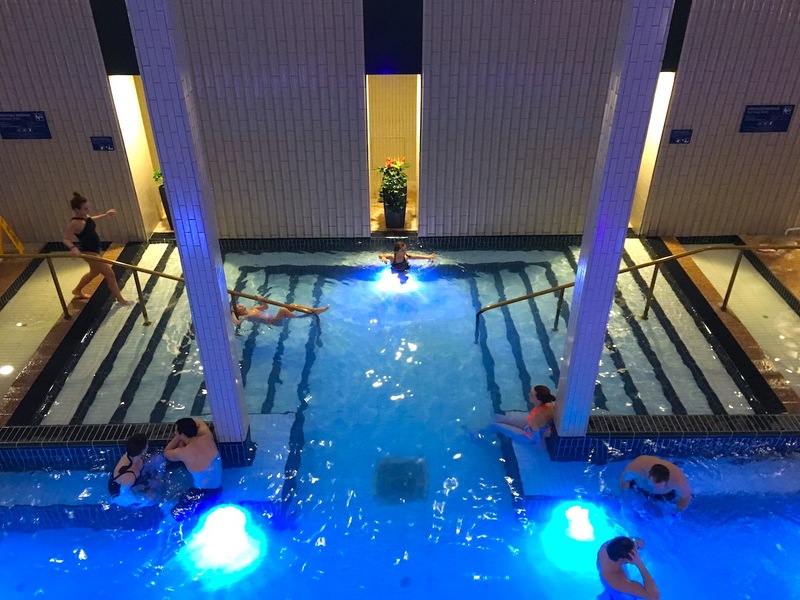 Want to learn more about the thermal baths and the bathing culture of Budapest? Request it as a theme for your next Budapest 101 Tour!